KATHMANDU, Sept 30: Nepali Congress lawmaker, Narayan Prasad Saud, today called for a parliamentary discussion on the subject of the constitution amendment and its specifications. Speaking at the Legislature-Parliament Special Session here, he appealed for seeking the support and backing of the main opposition party CPN (UML) in constitution amendment process and stressed further for the need for all political parties' initiative in implementing the constitution. Dilman Pakhrin of the same party drew the government's attention towards the need to provide compensation to the 19 families – who lost their relatives during the recent bus accident at Marpak of northern Dhading district – and quick distribution of grant to the quake-stricken. 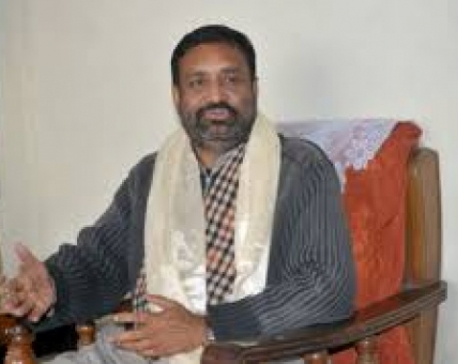 CPN (UML) lawmaker, Pashupati Chaulagain, expressed concern towards the government's decision to recall all the medical personnel from Dolakha district following the incident at the Primary Health Centre at Charikot and demanded immediate dispatch of medical professionals to the health centre. The same party's another lawmaker, Rabindra Adhikari, complained that the vacationers heading out into their districts to celebrate the festivals were not finding access to vehicles and pressed the government to arrange for their transportation. He also accused the government of sheltering black market trading by opening fair price shops. CPN (Maoist Centre) lawmaker, Ganesh Man Pun, advised the Ministry of Health to make the Karnali Health Sciences Academy more effective. Rastriya Prajatantra Party Nepal (RPPN) lawmaker, Bikram Thapa, demanded compensation for those who will be affected by the Kalimati – Nagdhunga road expansion. 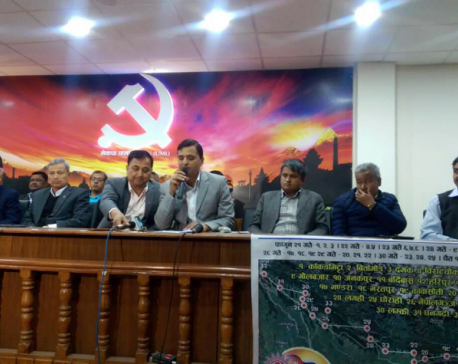 Yogendra Chaudhary from Madhesi Janadhikar Forum (Loktantrik) urged the main opposition CPN (UML) not to continue to make the subject of Prime Minister Pushpa Kamal Dahal's recent India visit an issue. Development Fund has positive impact on the economic and social status of local people. On PM Dahal's recent India visit, Anuradha Thapa Magar from Nepal Workers Peasants' Party had reservations about the joint statement issued by Nepal and India following PM's India visit. Likewise, Mahendra Raya Yadav from Tarai-Madhes Sadbhawana Party drew the attention of the government to implement the agreement struck with Muslim community and form a Muslim Commission at the earliest. Durga Poudel from Rastriya Janamorcha complained that pollution in the Kathmandu valley has been a major concern lately, affecting people's health.